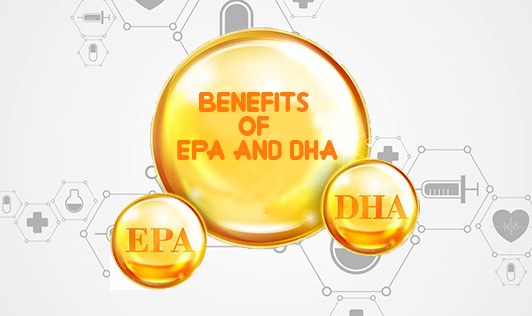 EPA and DHA stand for eicosapentaenoic acid and docosahexaenoic acid respectively. These fatty acids are omega-3 fats, which are found in cold water fish. EPA and DHA are highly unsaturated fats and play a very important role with the function of our bodies. Sources of EPA and DHA are mackerel, salmon fish oil, cod liver oil, sardines and walnuts. DHA is major constituent of tissue in the brain and retina of the eye. It helps with forming neural transmitters that are important for brain function. Since DHA is found in the retina of the eye, taking DHA may be necessary for maintaining normal eye function. Cardiovascular system – EPA and DHA are converted into hormone-like substances called prostaglandins that regulate cell activity, immunity and healthy cardiovascular function. Human growth and intellectual development – DHA plays a very important role during fetal development, early infancy and old age. High amounts of DHA are found in the brain and increase the percent in an infant’s brain during the last trimester of pregnancy. Adding DHA to a pregnant mother’s diet may be beneficial for the fetus’s brain development. As we get older, our bodies form less EPA and DHA, which may cause less mental focus and cognitive function. Hence elderly people should also take EPA/ DHA. Taking EPA/ DHA also may help with mental abnormalities, such as Alzheimer’s disease and dementia. There are other benefits to taking EPA and DHA as they act as a source of energy, insulate the body against heat loss, prevent skin from drying and flaking, and cushion tissues and organs.